Despite pent-up demand for the latest video gaming technologies, the piracy-plagued market is seen as a slow growth prospect here in Pakistan. The technology is inaccessible to a significant proportion of the average gaming audience in Pakistan while the expensive black market continues to thrive amid lack of action by manufacturers, local video games developers and the government. “The market here is non-existent for manufacturers,” says an otherwise enthusiastic young gamer in Lahore, Pakistan’s second-largest city, leading his team in a local Counter Strike gaming competition for prize money of $100. Peter Warman, CEO of Newzoo, a market research and consulting firm focusing solely on the gaming industry, believes emerging markets are key drivers of growth for the global monetisation of video games. In his Casual Connect USA 2013 keynote address, he emphasised the promising market potential of slower economies and developing countries in contributing significant revenues to the video games industry. Warman noted that the industry generates 74% of its total revenue from only 15% of the world’s total population, leaving massive room for growth in emerging markets such as South Asia and Eastern Europe. Pakistan fits the bill as an emerging market for the video games industry as far as consumer interest is concerned but the country is a long way from guaranteeing a profitable business model for manufacturers supporting online gaming. As one of the only few countries yet to adopt next-generation cellular network technologies such as 3G and 4G, Pakistan has a long way to go before it provides gamers with an ICT infrastructure capable of facilitating high-speed online gaming. 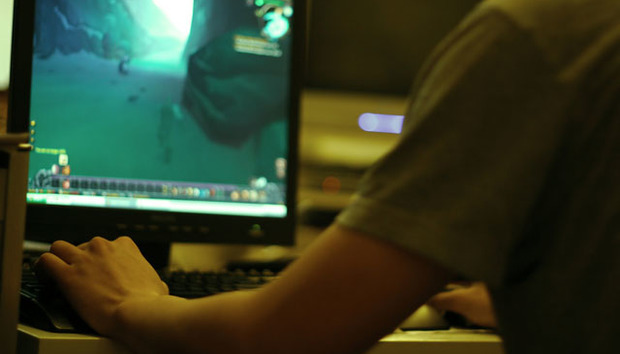 The wired broadband infrastructure accessible to average gamers around the world is more favourable for online multiplayer gaming than it is in Pakistan. According to one survey, more than 50% of the 2.9 million broadband subscribers in Pakistan (of a 179 million population) spend less than $15 per month on 1-2Mbps internet connections. Faster bandwidth is available but it’s dedicated mostly to corporate users. The country has, however, welcomed the ‘gaming zone’ (as games cafes are known here) culture that allows gamers to compete in multiplayer mode on a single LAN network with negligible latency issues. Speaking to a frequent visitor of a local gaming zone, it appears that cost is not the primary concern for hard-core gamers willing to play multiplayer. The lack of exposure in global online multiplayer competitions is adversely affecting the new gamers. He believes addressing cost concerns of average gamers is essential to foster young talent willing to compete on a larger scale.